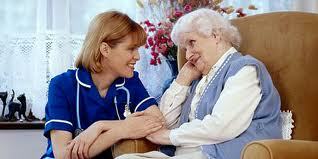 In 2009 Quality Service Recruitment launched it’s Health and Social Care Division. Through thorough market research we saw that there was a gap in the market for an employment business that could deliver high standards and thoroughly vetted staff 24 – hours a day; and supply the staff on demand! Our Health and Social Care team will offer a complete package aimed towards Nursing and Residential homes. We offer competitive rates whilst maintaining a constantly high calibre of applicants. We do not settle for supplying just what we may believe to be a suitable solution to your needs, we will work in close partnership with you and your business to tailor a package that suits your requirements. If you are looking for an agency supplier that will work in partnership with you, who will be there for you no matter what the time of day (or day of the week), will only send you workers that are suitable, experienced & qualified then you need look no further. With the application of our seventeen years of experience in the Recruitment Industry you will find our approach to be informed, honest, professional and above all reliable, with a true 24 hour service this will give you the peace of mind that Quality Service Recruitment is committed to work for you.